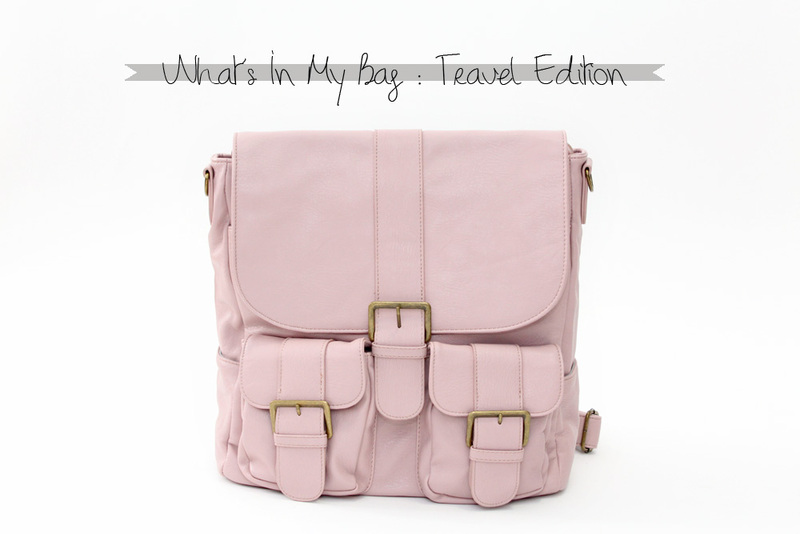 I shared my love for this bag yesterday, and now I thought I would show you what is inside. This bag is nice and big and roomy. I can fit my computer, iPad, camera, multiple lenses, and everything in between. And yes, it all fits. I swear. One of the main purposes of my trip is to (hopefully) take some photos of my newborn nephew. So I’m carrying more camera gear than I might usually. There is even more in my suitcase. - Warby Parker prescrition sunglasses. I just got these, and I’m pretty excited to be able to wear sunglasses and be able to still see. - Mini notebook and neon colored pencils. For fun. -Wallet, keys, coffee coozie. The basics. - Business cards. Because you never know. - A few small snacks. I don’t deal with hunger well at all. So I always make sure I have something on me. -Tissues. Travelling can be rough, yo. -My dino pouch. I keep all small things in here so they aren’t just floating around. 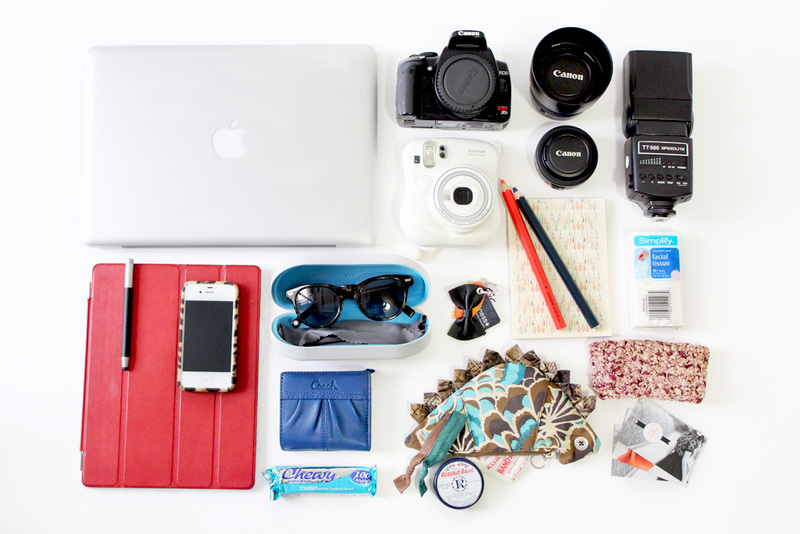 Like bandaids, hair ties, bobbie pins, Rosebud Salve, camera remote, etc.